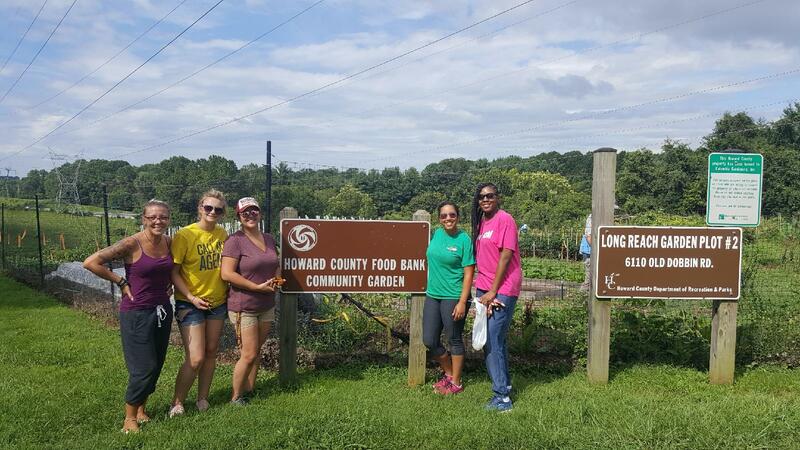 The Billing Collections department recently had the pleasure of volunteering with the Community Action Council of Howard County at the Community Garden. Upon arrival, we were welcomed with a brief overview of how the garden works and how our contributions help to provide the food bank with organic selections of fresh vegetables not typically available to the clients. We were then given some gloves and tools that were available all thanks to donations, and they put us to work. All of the “Master Gardeners” were very friendly and eager to talk us through the process. We were able to assist in harvesting and planting, helping pull weeds and ready soil. The opportunity left us with a sense of accomplishment at the amount of work we were able to complete. It was a very rewarding experience that we look forward to being involved with again soon.